Danny Kushmer is running for the District 15 seat in the U.S. House of Representatives. 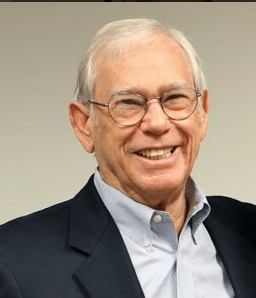 BRANDON – Dr. Earl Lennard, former supervisor of elections and superintendent of Hillsborough County Schools, has endorsed Danny Kushmer in his run for the U.S. House of Representatives. Lennard is long-time public servant who understands the citizens of Hillsborough County and he sees the value in sending Kushmer to Congress, according to the Kushmer campaign. Kushmer said he is a staunch supporter of term limits for Congress, Second Amendment rights and will work diligently to support President Donald Trump in building the wall and eliminating sanctuary cities. Kushmer is a conservative Republican residing in Brandon with his wife, Cally, three rescue dogs and a cat. They have four grown children. Kushmer said he looks forward to working toward a balanced budget, expanded mental health care coverage and term limits. He has pledged to serve only eight years if elected. Kushmer is one of five Republicans running for CD 15. The others are Neil Combee, Sean Harper, Ed Shoemaker and Ross Spano. The seat is currently held by Republican Dennis Ross,. who is not seeking reelection. CD 15 includes portions of Hillsborough, Lake and Polk counties. The primary election is Aug. 28. The general election is Nov. 6. The last day to register to vote or change party affiliation for the primary is Monday (July 30). For more information visit www.DannyKushmer.com.